Discontinued. 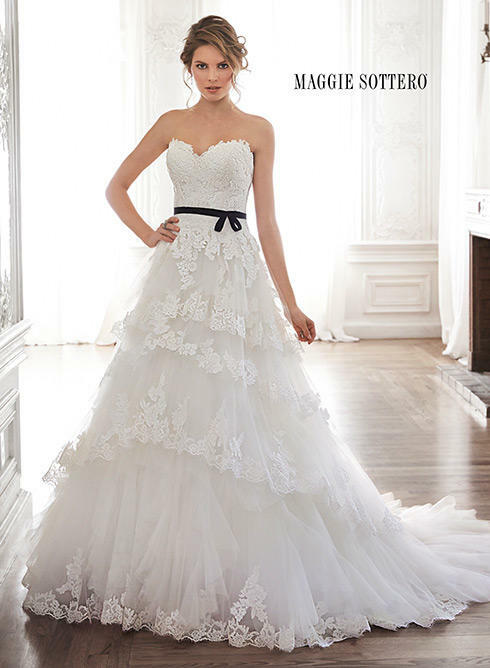 Sweet and feminine is this gorgeous tulle and lace ballgown, complete with a romantic sweetheart neckline. Layers of lace-lined tulle drift down a voluminous skirt. 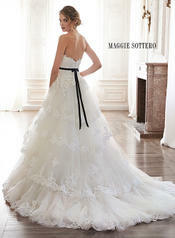 Optional grosgrain ribbon belt adorns the waist. Finished with covered button over zipper closure and inner corset.